Inuit elder hunter Derrick Pottle relies on his observations of 60 years to convey the environmental impacts of climate change that are affecting the social fabric and livelihoods of Arctic communities. Jason van Bruggen is a self-taught Canadian photographer and filmmaker. His work is focussed on depicting wild places, including the Far North, in a manner that is simultaneously authentic and narrative. 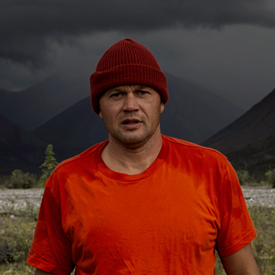 His work has been profiled by National Geographic, Outside Magazine, CBC, Photo District News, BBC, and many others. Van Bruggen is a Fellow International of the Explorers Club and a Fellow of the Royal Canadian Geographic Society.